Miller & Associates Consulting Engineers, P.C. 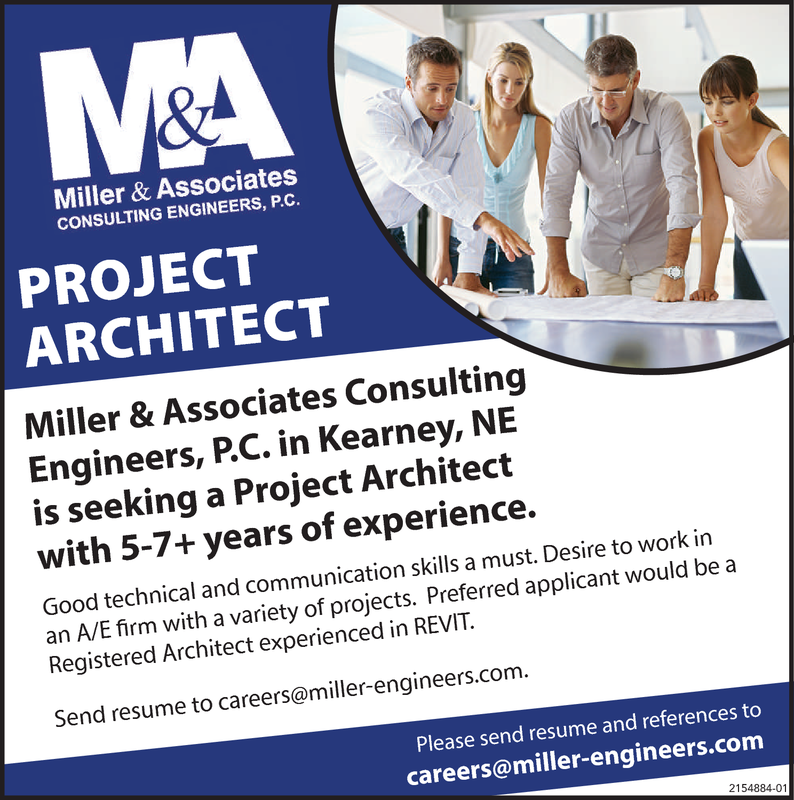 in Kearney, NE is seeking a Project Architect with 5-7+ years of experience. Good technical and communication skills a must. Desire to work in an A/E firm with a variety of projects. Preferred applicant would be a Registered Architect experienced in REVIT.